FOURNIER, JULES (baptized Georges-Jules), journalist, essayist, newspaper owner, and translator; b. 23 Aug. 1884 in Coteau-du-Lac, Que., son of Isaïe Fournier, a farmer; and Marie Durocher; m. 22 April 1912 Thérèse Surveyer in Montreal, and they had one son; d. 16 April 1918 in Ottawa and was buried 18 April in Notre-Dame-des-Neiges cemetery, Montreal. Jules Fournier was the eldest of four children born to a family of modest means. At the local school he attracted the attention of his teacher, Michel Weber, a native of Lorraine. The curate of the parish taught him the rudiments of Latin, and in 1897 he entered the second form (Syntax) at the Collège de Valleyfield. Abbé Lionel Groulx*, who was his teacher in sixth form (Rhetoric) and who awarded him the first prize for history in 1902, describes him in Mes mémoires as a brilliant student, “difficult,” demanding and a bit frustrated, “an indefatigable reader,” ahead of his classmates and “most of his teachers,” a situation which accounted for the “rebellious spirit that had developed in him.” In December 1902, however, principal Abbé Pierre-Avila Sabourin, whom Fournier had ridiculed, expelled him from the college. Fournier continued his education on his own and, according to Olivar Asselin*, always had “some masterpiece of classical French literature” in his pocket. In the autumn of 1903 he had been taken on as a reporter at La Presse where Asselin first met him. 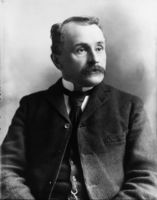 The following year he moved to Le Canada (Montréal) as parliamentary columnist in Ottawa; later, in 1906, he would be made a political correspondent. He also travelled through New England, investigating the economic, political, and religious situation of Franco-Americans, and he penned 18 lucid but pessimistic articles, which were published from 30 Oct. 1905 to 18 Jan. 1906. In the latter year he began writing for his friend Asselin’s paper Le Nationaliste (Montréal) under the pseudonym Pierre Beaudry, and in 1908 he became its editor. As a journalist, Fournier assumed the role of satirist, and he was confronted with a number of law-suits. 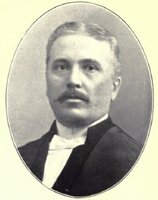 Those who took him to court included cabinet ministers Adélard Turgeon* in 1907, Louis-Alexandre Taschereau* in 1909, and most notably Sir Lomer Gouin*, who, as attorney general, charged him, also in 1909, with “contempt of court” for stating that the judicial decisions rendered for some time at Quebec constituted a “prostitution of justice” and describing three former Liberal politicians as “erstwhile thugs.” The men in question were François-Xavier Lemieux*, now a judge, Charles Langelier, sheriff of the Quebec District, and his brother judge François Langelier, who sentenced Fournier to three months in prison. When he was released after serving 17 days in jail at Quebec, a public meeting was held in his honour at the Marché Saint-Jacques in Montreal in June 1909. His imprisonment gave him material for his spicy Souvenirs de prison, with its descriptions of the food and sanitary conditions, and characters such as the governor. This lively little account would be reprinted and imitated by Jacques Hébert in his Trois jours en prison (1965) following the controversy over Wilbert Coffin*’s execution for murder in 1956. Fournier made his initial visit to Europe in 1909, from 15 August to 17 September. After working for the first three months of the following year at Le Devoir (Montréal), he set sail again as a special correspondent for La Patrie. He visited several provinces in France, attended election meetings for Maurice Barrès, and met Anatole France, Jules Lemaitre, Frédéric Mistral, and the satirist Henri Rochefort. In April 1911 Fournier founded his own newspaper, L’Action, in Montreal. This first-rate weekly had pieces by Asselin, Arthur Beauchesne*, Ferdinand Paradis, and Édouard Montpetit*, and by numerous writers (Marcel Dugas* and Robert La Roque* de Roquebrune) and poets (René Chopin, Albert Lozeau*, and Paul Morin), as well as extracts from the works of the greatest classical and modern French authors. In the paper’s first year, the editor of La Patrie, Louis-Joseph Tarte, unsuccessfully sued it for $45,000. Fournier jokingly suggested that its name should be changed to “L’Action pour libelle” (“libel suit”) or “L’Action en dommages” (“suit for damages”). In 1915 the mayor of Montreal, Médéric Martin*, sued Fournier for calling him a “big thief,” but he made himself look ridiculous in court and lost the case. In early January 1916 Fournier was elected to represent Saint-Jacques ward on the municipal council; he held the seat only three months, however. 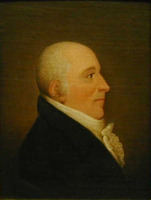 He was defeated in the municipal election of 3 April, which returned Martin to the mayoralty. The last issue of L’Action came out on 29 April 1916. 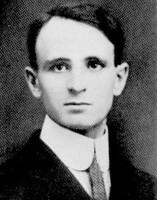 In the summer of 1917 Fournier accepted a position as a translator in the Senate. After only a few days of illness he died the following spring, either from pneumonia or from what would soon be known as the Spanish influenza. According to his wife, he had protested, “I am too young!” His journalistic career so ended when he was only 33; his literary career had scarcely begun. The schoolboy who was corresponding with Jules Lemaitre by the time he was in fourth form (Versification) had had three articles on patriotic and romantic themes published in Le Monde illustré in 1899 and 1900, including one about the exile of Octave Crémazie*. In the space of a week in 1904 Fournier had written a Canadian “popular novel” in the form of a parody entitled “Le crime de Lachine,” which would appear in serial form a year later in Le Canada. In July 1906 the Revue canadienne published his long introduction to this novel. Called “Comme préface,” it was addressed “To His Most Serene Highness the Critic; to his friends; to his enemies,” and expressed some original ideas on literature, its creation, and in particular the nature of the “signature” of a work. Three months later, in the same journal, the French critic Charles ab der Halden began a discussion about the state and future of literature in Quebec with Fournier, who had sent him his article and a note. Fournier criticized him as the author of Études de littérature canadienne-française (Paris, 1904) (who would publish his Nouvelles études de littérature canadienne-française in Paris in 1907) for being complacent about a “literature” that did not exist as such, in spite of a few works of merit from the pens of writers such as Crémazie, François-Xavier Garneau*, Arthur Buies*, and Émile Nelligan*. This intellectual debate, which would eventually involve Lozeau, Fernand Rinfret*, Robertine Barry* (Françoise), and Camille Roy*, dealt with language and with mentality (“English in spirit,” according to Fournier), as well as with literature. 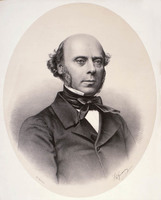 Basically, in the discussion the francophile Fournier faced off not with Halden but with the regionalist program of the Bulletin du parler français au Canada (Québec) [see Stanislas-Alfred Lortie]. Fournier entitled the collection of texts he edited in 1913 Anthologie des poètes canadiens – poets, not poetry. The following year he sent out a questionnaire to poets, whose answers would be used as his texts for presentation, on the methodological model of Gérard Walch’s Anthologie des poètes français contemporains . . . (Paris, 1906). This “unique document,” according to literary critic Jacques Blais, “makes it possible to follow step by step the evolution of the Quebec poetic movement,” from Joseph Quesnel* to Jean Nolin; published in 1920 and reprinted in an updated version in 1933 with a preface by Asselin, it deserves a critical edition. In 1922 Asselin and Fournier’s widow published Mon encrier, a two-volume collection of the political and literary articles by Fournier, who as a journalist had produced editorials, opinion columns, polemics, and essays. His harsh, sarcastic book reviews were in sharp contrast to the usually mild criticism of the day. His descriptions (of Honoré Mercier*, Sir Wilfrid Laurier, and Henri Bourassa*, for instance) and caricatures (including that of Sir Adolphe-Basile Routhier), his travel article “Impressions de traversée,” and his interviews, open letters, fables, parables, parodies, and satires are the work of a true writer. In honour of this talented literary figure, the Conseil de la Langue Française in 1980 created the Jules-Fournier prize, awarded annually to a journalist for the excellence of his or her writing. 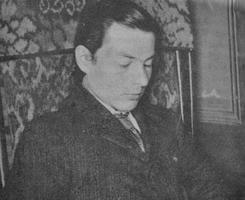 Jules Fournier is the author of Souvenirs de prison; la cellule no.14 (Montréal, 1910), reissued in Écrits du Canada français (Montréal), 7 (1960): 237–97, and in Jacques Hébert, Trois jours en prison (Montréal, 1965), 63–119. His two anthologies were published posthumously, as Anthologie des poètes canadiens, Olivar Asselin, édit. (Montréal, 1933), and Mon encrier: recueil posthume d’études et d’articles choisis, dont deux inédits, Mme Jules Fournier [Thérèse Surveyer], édit. (2v., Montréal, 1922; nouv. éd., introd. d’Adrien Thério, Montréal, 1965, et réimpr., 1970). Fournier also compiled and issued a list of the books in his library in the form of a typescript pamphlet entitled “La cité des livres” (s.l., s.d.). A detailed bibliography (including a list of Fournier’s articles), photographs, and a study of the man and his career are provided in Adrien Thério, Jules Fournier, journaliste de combat (Montréal et Paris, 1954), and an assessment of Fournier’s three books appears in the second volume of the DOLQ. An anthology of his writings assembled and introduced by Adrien Thério has been published as Jules Fournier (Montréal et Paris, 1957), and a biography with a selection of his works has also been prepared by Alonzo Le Blanc under the title Jules Fournier: biographie et textes choisis (Québec, 1980). AC, Montréal, État civil, Catholiques, Cimetière Notre-Dame-des-Neiges (Montréal), 18 avril 1918; Saint-Jacques (Montréal), 22 avril 1912. ANQ-M, CE1-31,  août 1884. Édouard Montpetit, “Jules Fournier,” L’Ordre (Montréal), 11 janv. 1935: 4. Hermas Bastien, Ces écrivains qui nous habitent (Montréal, 1969), 31–52. M.-A. Beaudet, Langue et littérature au Québec, 1895–1914 (Montréal, 1991), 59–85. Harry Bernard, Essais critiques (Montréal, ), 125–34. Renald Bérubé, “Jules Fournier: trouver le mot de la situation,” in L’essai et la prose d’idées au Québec . . . (Montréal, 1985), 367–78. Roger Duhamel, “Jules Fournier,” Académie Canadienne-Française, Cahiers (Montréal), 7 (1963): 87–103. L.-P. Gagnon, “Essai sur le caractère et les idées de trois maîtres d’escrime de notre journalisme: Arthur Buies (1840–1901); Olivar Asselin (1875–1937); Jules Fournier (1884–1918)” (thèse de ma, univ. d’Ottawa, 1941), 108–46. Lionel Groulx, Mes mémoires (4v., Montréal, 1970–74). J. Hamelin et al., La presse québécoise. Les heures littéraires ([Montréal, 1929]), 67–84. Adrien Thério, “Les grands procès de Fournier,” L’Action nationale (Montréal), 41 (1953): 474–93. Laurent Mailhot, “FOURNIER, JULES,” in Dictionary of Canadian Biography, vol. 14, University of Toronto/Université Laval, 2003–, accessed April 20, 2019, http://www.biographi.ca/en/bio/fournier_jules_14E.html.